Poland, Slovakia, Czech Republic, Hungary, Germany; bordering regions of western Ukraine and western Belarus, Romania, Moldova. See also Polish diaspora. Polish (język polski, polszczyzna) is a West Slavic language spoken primarily in Poland and is the native language of the Poles. It belongs to the Lechitic subgroup of the West Slavic languages. Polish is the official language of Poland, but it is also used throughout the world by Polish minorities in other countries. 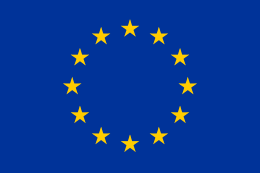 It is one of the official languages of the European Union. 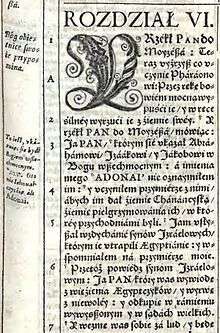 Its written standard is the Polish alphabet, which has 9 additions to the letters of the basic Latin script (ą, ć, ę, ł, ń, ó, ś, ź, ż). Polish is closely related to Kashubian, Silesian, Upper Sorbian, Lower Sorbian, Czech and Slovak. Although the Austrian, German and Russian administrations exerted much pressure on the Polish nation (during the 19th and early 20th centuries) following the Partitions of Poland, which resulted in attempts to suppress the Polish language, a rich literature has regardless developed over the centuries and the language currently has the largest number of speakers of the West Slavic group. It is also the second most widely spoken Slavic language, after Russian and just ahead of Ukrainian. In history, Polish is known to be an important language, both diplomatically and academically in Central and Eastern Europe. Today, Polish is spoken by over 38.5 million people as their first language in Poland. It is also spoken as a second language in western parts of Belarus, Lithuania and Ukraine, as well as northern parts of the Czech Republic and Slovakia. Because of the emigration from Poland during different time periods, most notably after World War II, millions of Polish speakers can be found in countries such as Australia, Brazil, Canada, the United Kingdom, Ireland, and the United States. There are 55 million Polish language speakers around the world. Polish began to emerge as a distinct language around the 10th century, the process largely triggered by the establishment and development of the Polish state. Mieszko I, ruler of the Polans tribe from Greater Poland region, united a few culturally and linguistically related tribes from the basins of the Vistula and Oder before eventually accepting baptism in 966. With Christianity, Poland also adopted the Latin alphabet, which made it possible to write down Polish, until then existing only as a spoken language. "It is worth mentioning," writes Tomasz Kamusella, "that Polish is the oldest, non-ecclesiastical, written Slavic language with a continuous tradition of literacy and official use, which has lasted unbroken from the 16th century to this day." The precursor to modern Polish is the Old Polish language. Ultimately, Polish is thought to descend from the unattested Proto-Slavic language. Polish was a lingua franca from 1500–1700 in small parts of Central and large portions of Eastern Europe, because of the political, cultural, scientific and military influence of the former Polish–Lithuanian Commonwealth. Poland is the most linguistically homogeneous European country; nearly 97% of Poland's citizens declare Polish as their first language. Elsewhere, Poles constitute large minorities in Lithuania, Belarus, and Ukraine. Polish is the most widely used minority language in Lithuania's Vilnius (Wilno) County (26% of the population, according to the 2001 census results, with Wilno (Vilnius) having been part of Poland from 1922 until 1939) and is found elsewhere in southeastern Lithuania. In Ukraine it is most common in western Lviv and Volyn Oblasts, while in West Belarus it is used by the significant Polish minority, especially in the Brest and Grodno regions and in areas along the Lithuanian border. There are significant numbers of Polish speakers among Polish emigrants and their descendants in many other countries. In the United States, Polish Americans number more than 11 million but most of them cannot speak Polish fluently. According to the 2000 United States Census, 667,414 Americans of age five years and over reported Polish as the language spoken at home, which is about 1.4% of people who speak languages other than English, 0.25% of the US population, and 6% of the Polish-American population. The largest concentrations of Polish speakers reported in the census (over 50%) were found in three states: Illinois (185,749), New York (111,740), and New Jersey (74,663). Enough people in these areas speak Polish that PNC Financial Services (which has a large number of branches in all of these areas) offer services available in Polish at all of their cash machines in addition to English and Spanish. According to the 2011 census there are now over 500,000 people in England and Wales who consider Polish to be their "main" language. In Canada, there is a significant Polish Canadian population: There are 242,885 speakers of Polish according to the 2006 census, with a particular concentration in Toronto (91,810 speakers) and Montreal. The geographical distribution of the Polish language was greatly affected by the territorial changes of Poland immediately after World War II and Polish population transfers (1944–46). Poles settled in the "Recovered Territories" in the west and north, which had previously been mostly German-speaking. Some Poles remained in the previously Polish-ruled territories in the east that were annexed by the USSR, resulting in the present-day Polish-speaking minorities in Lithuania, Belarus, and Ukraine, although many Poles were expelled or emigrated from those areas to areas within Poland's new borders. Meanwhile, the flight and expulsion of Germans (1944–50), as well as the expulsion of Ukrainians and Operation Vistula, the 1947 forced resettlement of Ukrainian minorities to the Recovered Territories in the west of the country, contributed to the country's linguistic homogeneity. Geographical distribution of the Polish language and other Central and Eastern European languages and dialects. The Polish language became far more homogeneous in the second half of the 20th century, in part due to the mass migration of several million Polish citizens from the eastern to the western part of the country after the Soviet annexation of the Kresy in 1939, and the acquisition of former German territory after World War II. This tendency toward a homogeneity also stems from the vertically integrated nature of the authoritarian Polish People's Republic. The inhabitants of different regions of Poland still speak "standard" Polish somewhat differently, although the differences between regional dialects appear slight. First-language speakers of Polish have no trouble understanding each other, and non-native speakers may have difficulty distinguishing regional variations. Kashubian, spoken in Pomerania west of Gdańsk on the Baltic Sea, is often considered a fifth dialect. It contains a number of features not found elsewhere in Poland, e.g. nine distinct oral vowels (vs. the five of standard Polish) and (in the northern dialects) phonemic word stress, an archaic feature preserved from Common Slavic times and not found anywhere else among the West Slavic languages. However, it "lacks most of the linguistic and social determinants of language-hood". 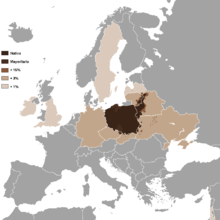 Many linguistic sources about the Slavic languages describe Silesian as a dialect of Polish. However, many Silesians consider themselves a separate ethnicity and have been advocating for the recognition of a Silesian language. According to the last official census in Poland in 2011, over half a million people declared Silesian as their native language. Many sociolinguistic sources (e.g. by Tomasz Kamusella, Agnieszka Pianka, Alfred F. Majewicz, Tomasz Wicherkiewicz) assume that extralinguistic criteria decide whether something is a language or a dialect of the language: users of speech or/and political decisions, and this is dynamic (i.e. change over time). Also, language organizations like as SIL International and resources for the academic field of linguistics like as Ethnologue, Linguist List and other, for example Ministry of Administration and Digitization recognized Silesian language. In July 2007, the Silesian language was recognized by an ISO, was attributed an ISO code of szl. The distinctive dialect of the Gorals (Góralski) occurs in the mountainous area bordering the Czech Republic and Slovakia. The Gorals ("Highlanders") take great pride in their culture and the dialect. It exhibits some cultural influences from the Vlach shepherds who migrated from Wallachia (southern Romania) in the 14th–17th centuries. Some urban Poles find this very distinct dialect difficult to understand. The Poznanski dialect, spoken in Poznań and to some extent in the whole region of the former Prussian annexation (excluding Upper Silesia), with characteristic high tone melody and notable influence of the German language. In the northern and western (formerly German) regions where Poles from the territories annexed by the Soviet Union resettled after World War II, the older generation speaks a dialect of Polish characteristic of the Kresy that includes a longer pronunciation of vowels. Poles living in Lithuania (particularly in the Vilnius region), in Belarus (particularly the northwest), and in the northeast of Poland continue to speak the Eastern Borderlands dialect, which sounds "slushed" (in Polish described as zaciąganie z ruska, "speaking with a Russian drawl") and is easily distinguishable. Some city dwellers, especially the less affluent population, had their own distinctive dialects - for example, the Warsaw dialect, still spoken by some of the population of Praga on the eastern bank of the Vistula. (Praga remained the only part of Warsaw where the population survived World War II relatively intact.) However, these city dialects are now mostly extinct due to assimilation with standard Polish. Many Poles living in emigrant communities (for example, in the USA), whose families left Poland just after World War II, retain a number of minor features of Polish vocabulary as spoken in the first half of the 20th century that now sound archaic, however, to contemporary visitors from Poland. Polish has six oral vowels (all monophthongs) and two nasal vowels. The oral vowels are /i/ (spelled i), /ɨ/ (spelled y), /ɛ/ (spelled e), /a/ (spelled a), /ɔ/ (spelled o) and /u/ (spelled u or ó). The nasal vowels are /ɛ̃/ (spelled ę) and /ɔ̃/ (spelled ą). Neutralization occurs between voiced–voiceless consonant pairs in certain environments: at the end of words (where devoicing occurs), and in certain consonant clusters (where assimilation occurs). For details, see Voicing and devoicing in the article on Polish phonology. Most Polish words are paroxytones (that is, the stress falls on the second-to-last syllable of a polysyllabic word), although there are exceptions. The Polish alphabet derives from the Latin script, but includes certain additional letters formed using diacritics. The Polish alphabet was one of three major forms of Latin-based orthography developed for Slavic languages, the others being Czech orthography and Croatian orthography, the latter being a 19th-century invention trying to make a compromise between the first two. Kashubian uses a Polish-based system, Slovak uses a Czech-based system, and Slovene follows the Croatian one; the Sorbian languages blend the Polish and the Czech ones. The diacritics used in the Polish alphabet are the kreska (graphically similar to the acute accent) in the letters ć, ń, ó, ś, ź and through the letter in ł; the kropka (superior dot) in the letter ż, and the ogonek ("little tail") in the letters ą, ę. The letters q, v, x are often not considered part of the Polish alphabet; they are used only in foreign words and names. Polish orthography is largely phonemic—there is a consistent correspondence between letters (or digraphs and trigraphs) and phonemes (for exceptions see below). The letters of the alphabet and their normal phonemic values are listed in the following table. Voiced consonant letters frequently come to represent voiceless sounds (as shown in the tables); this occurs at the end of words and in certain clusters, due to the neutralization mentioned in the Phonology section above. Occasionally also voiceless consonant letters can represent voiced sounds in clusters. The spelling rule for the palatal sounds /ɕ/, /z/, /tɕ/, /dz/ and /ɲ/ is as follows: before the vowel i the plain letters s, z, c, dz, n are used; before other vowels the combinations si, zi, ci, dzi, ni are used; when not followed by a vowel the diacritic forms ś, ź, ć, dź, ń are used. For example, the s in siwy ("grey-haired"), the si in siarka ("sulphur") and the ś in święty ("holy") all represent the sound /ɕ/. The exceptions to the above rule are certain loanwords from Latin, Italian, French, Russian or English—where s before i is pronounced as s, e.g. sinus, sinologia, do re mi fa sol la si do, Saint-Simon i saint-simoniści, Sierioża, Siergiej, Singapur, singiel. In other loanwords the vowel i is changed to y, e.g. Syria, Sybir, synchronizacja, Syrakuzy. Similar principles apply to /kʲ/, /ɡʲ/, /xʲ/ and /lʲ/, except that these can only occur before vowels, so the spellings are k, g, (c)h, l before i, and ki, gi, (c)hi, li otherwise. Most Polish speakers, however, do not consider palatalisation of k, g, (c)h or l as creating new sounds. Except in the cases mentioned above, the letter i if followed by another vowel in the same word usually represents /j/, yet a palatalisation of the previous consonant is always assumed. The letters ą and ę, when followed by plosives and affricates, represent an oral vowel followed by a nasal consonant, rather than a nasal vowel. For example, ą in dąb ("oak") is pronounced /ɔm/, and ę in tęcza ("rainbow") is pronounced /ɛn/ (the nasal assimilates to the following consonant). When followed by l or ł (for example przyjęli, przyjęły), ę is pronounced as just e. When ę is at the end of the word it is often pronounced as just /ɛ/. Note that, depending on the word, the phoneme /x/ can be spelt h or ch, the phoneme /ʐ/ can be spelt ż or rz, and /u/ can be spelt u or ó. In several cases it determines the meaning, for example: może ("maybe") and morze ("sea"). In occasional words, letters that normally form a digraph are pronounced separately. For example, rz represents /rz/, not /ʐ/, in words like zamarzać ("freeze") and in the name Tarzan. Notice that doubled letters represent separate occurrences of the sound in question; for example Anna is pronounced /anːa/ in Polish (the double n is often pronounced as a lengthened single n). There are certain clusters where a written consonant would not be pronounced. For example, the ł in the words mógł ("could") and jabłko ("apple") might be omitted in ordinary speech, leading to the pronunciations muk and japko or jabko. Polish is a highly inflected language, with relatively free word order, although the dominant arrangement is subject–verb–object (SVO). There are no articles, and subject pronouns are often dropped. Nouns may belong to three genders: masculine, feminine and neuter. A distinction is also made between animate and inanimate masculine nouns in the singular, and between masculine personal and non-masculine-personal nouns in the plural. There are seven cases: nominative, genitive, dative, accusative, instrumental, locative and vocative. Adjectives agree with nouns in terms of gender, case and number. Attributive adjectives most commonly precede the noun, although in certain cases, especially in fixed phrases (like język polski, "Polish (language)"), the noun may come first. Most short adjectives and their derived adverbs form comparatives and superlatives by inflection (the superlative is formed by prefixing naj- to the comparative). Verbs are of imperfective or perfective aspect, often occurring in pairs. Imperfective verbs have a present tense, past tense, compound future tense (except for być "to be", which has a simple future będę etc., this in turn being used to form the compound future of other verbs), subjunctive/conditional (formed with the detachable particle by), imperatives, an infinitive, present participle, present gerund and past participle. Perfective verbs have a simple future tense (formed like the present tense of imperfective verbs), past tense, subjunctive/conditional, imperatives, infinitive, present gerund and past participle. Conjugated verb forms agree with their subject in terms of person, number, and (in the case of past tense and subjunctive/conditional forms) gender. Passive-type constructions can be made using the auxiliary być or zostać ("become") with the passive participle. There is also an impersonal construction where the active verb is used (in third person singular) with no subject, but with the reflexive pronoun się present to indicate a general, unspecified subject (as in pije się wódkę "vodka is drunk"—note that wódka appears in the accusative). A similar sentence type in the past tense uses the passive participle with the ending -o, as in widziano ludzi ("people were seen"). As in other Slavic languages, there are also subjectless sentences formed using such words as można ("it is possible") together with an infinitive. Yes-no questions (both direct and indirect) are formed by placing the word czy at the start. Negation uses the word nie, before the verb or other item being negated; nie is still added before the verb even if the sentence also contains other negatives such as nigdy ("never") or nic ("nothing"), effectively creating a double negative. Cardinal numbers have a complex system of inflection and agreement. Numbers higher than five (except for those ending with the digit 2, 3 or 4) govern the genitive case rather than the nominative or accusative. Special forms of numbers (collective numerals) are used with certain classes of noun, which include dziecko ("child") and exclusively plural nouns such as drzwi ("door"). Polish has, over the centuries, borrowed a number of words from other languages. When borrowing, pronunciation was adapted to Polish phonemes and spelling was altered to match Polish orthography. In addition, word endings are liberally applied to almost any word to produce verbs, nouns, adjectives, as well as adding the appropriate endings for cases of nouns, adjectives, diminutives, double-diminutives, augmentatives, etc. Depending on the historical period, borrowing has proceeded from various languages. Notable influences have been Latin (9th–18th centuries), Czech (10th and 14th–15th centuries), Italian (15th–16th centuries), French (18th–19th centuries), German (13–15th and 18th–20th centuries), Hungarian (14th–16th centuries) and Turkish (17th century). Currently, English words are the most common imports to Polish. The Latin language, for a very long time the only official language of the Polish state, has had a great influence on Polish. Many Polish words (rzeczpospolita from res publica, zdanie for both "opinion" and "sentence", from sententia) were direct borrowings from Latin. Latin was known to a larger or smaller degree by most of the numerous szlachta in the 16th to 18th centuries (and it continued to be extensively taught at secondary schools until World War II). Apart from dozens of loanwords, its influence can also be seen in a number of verbatim Latin phrases in Polish literature (especially from the 19th century and earlier). During the 12th and 13th centuries, Mongolian words were brought to the Polish language during wars with the armies of Genghis Khan and his descendants, e.g. dzida (spear) and szereg (a line or row). 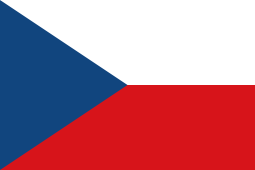 Words from Czech, an important influence during the 10th and 14th–15th centuries include sejm, hańba and brama. In 1518, the Polish king Sigismund I the Old married Bona Sforza, the niece of the Holy Roman emperor Maximilian, who introduced Italian cuisine to Poland, especially vegetables. Hence, words from Italian include pomidor from "pomodoro" (tomato), kalafior from "cavolfiore" (cauliflower), and pomarańcza, a portmanteau from Italian "pomo" (pome) plus "arancio" (orange). A later word of Italian origin is autostrada (from Italian "autostrada", highway). In the 18th century, with the rising prominence of France in Europe, French supplanted Latin as an important source of words. Some French borrowings also date from the Napoleonic era, when the Poles were enthusiastic supporters of Napoleon. Examples include ekran (from French "écran", screen), abażur ("abat-jour", lamp shade), rekin ("requin", shark), meble ("meuble", furniture), bagaż ("bagage", luggage), walizka ("valise", suitcase), fotel ("fauteuil", armchair), plaża ("plage", beach) and koszmar ("cauchemar", nightmare). Some place names have also been adapted from French, such as the Warsaw borough of Żoliborz ("joli bord" = beautiful riverside), as well as the town of Żyrardów (from the name Girard, with the Polish suffix -ów attached to refer to the founder of the town). Many words were borrowed from the German language from the sizable German population in Polish cities during medieval times. German words found in the Polish language are often connected with trade, the building industry, civic rights and city life. Some words were assimilated verbatim, for example handel (trade) and dach (roof); others are pronounced the same, but differ in writing schnur—sznur (cord). As a result of being neighbours with Germany, Polish has many German expressions which have become literally translated (calques). Interestingly, the regional dialects of Upper Silesia and Masuria (Modern Polish East Prussia) have noticeably more German loanwords than other dialects. The contacts with Ottoman Turkey in the 17th century brought many new words, some of them still in use, such as: jar ("yar" deep valley), szaszłyk ("şişlik" shish kebab), filiżanka ("fincan" cup), arbuz ("karpuz" watermelon), dywan ("divan" carpet), etc. From the founding of the Kingdom of Poland in 1025 through the early years of the Polish-Lithuanian Commonwealth created in 1569, Poland was the most tolerant country of Jews in Europe. Known as paradisus Iudaeorum (Latin for "paradise for the Jews"), it became a shelter for persecuted and expelled European Jewish communities and the home to the world's largest Jewish community of the time. As a result, many Polish words come from Yiddish, spoken by the large Polish Jewish population that existed until the Holocaust. Borrowed Yiddish words include bachor (an unruly boy or child), bajzel (slang for mess), belfer (slang for teacher), ciuchy (slang for clothing), cymes (slang for very tasty food), geszeft (slang for business), kitel (slang for apron), machlojka (slang for scam), mamona (money), menele (slang for oddments and also for homeless people), myszygine (slang for lunatic), pinda (slang for girl, pejoratively), plajta (slang for bankruptcy), rejwach (noise), szmal (slang for money), and trefny (dodgy). The mountain dialects of the Górale in southern Poland, have quite a number of words borrowed from Hungarian (e.g. baca, gazda, juhas, hejnał) and Romanian as a result of historical contacts with Hungarian-dominated Slovakia and Wallachian herders who travelled north along the Carpathians. Thieves' slang includes such words as kimać (to sleep) or majcher (knife) of Greek origin, considered then unknown to the outside world. Direct borrowings from Russian are extremely rare, in spite of long periods of dependence on Tsarist Russia and the Soviet Union, and are limited to a few internationalisms, such as sputnik and pierestrojka . Russian personal names are transcribed into Polish likewise; thus Tchaikovsky's name is spelled Piotr Iljicz Czajkowski. Recent loanwords come primarily from the English language, mainly those that have Latin or Greek roots, for example komputer (computer), korupcja (from 'corruption', but sense restricted to 'bribery'), etc. Slang sometimes borrows and alters common English words, e.g. luknąć (to look). Concatenation of parts of words (e.g. auto-moto), which is not native to Polish but common in English, for example, is also sometimes used. When borrowing English words, Polish often changes their spelling. For example, Latin suffix '-tio' corresponds to -cja. To make the word plural, -cja becomes -cje. Examples of this include inauguracja (inauguration), dewastacja (devastation), recepcja (reception), konurbacja (conurbation) and konotacje (connotations). Also, the digraph qu becomes kw (kwadrant = quadrant; kworum = quorum). The Polish language has influenced others. Particular influences appear in other Slavic languages and in German — due to their proximity and shared borders. Examples of loanwords include German Grenze (border), Dutch and Afrikaans grens from Polish granica; German Peitzker from Polish piskorz (weatherfish); German Zobel, French zibeline, Swedish sabel, and English sable from Polish soból; and ogonek ("little tail") — the word describing a diacritic hook-sign added below some letters in various alphabets. "Szmata," a Polish-Ruthenian word for "mop" or "rag" became part of Yiddish. The word spruce entered the English language from the Polish name of Prusy (a historical region, today part of Poland). It became spruce because in Polish, z Prus, sounded like "spruce" in English (transl. "from Prussia") and was a generic term for commodities brought to England by Hanseatic merchants and because the tree was believed to have come from Polish Ducal Prussia. ↑ "Law of Ukraine "On Principles of State Language Policy" (Current version — Revision from 01.02.2014)". Document 5029-17, Article 7: Regional or minority languages Ukraine, Paragraph 2. Zakon2.rada.gov.ua. 1 February 2014. Retrieved 30 April 2014. ↑ Hammarström, Harald; Forkel, Robert; Haspelmath, Martin; Bank, Sebastian, eds. (2016). "Polish". Glottolog 2.7. Jena: Max Planck Institute for the Science of Human History. ↑ "Lekhitic languages | Encyclopedia Britannica". Britannica.com. 2015-01-08. Retrieved 2015-03-31. ↑ United States (2007-07-10). "The importance of Polish as a language today — Learn English your way". Cactus Language Training. Archived from the original on September 7, 2011. Retrieved 2011-09-16. ↑ "Statistical Summaries". Ethnologue. Retrieved 2011-09-16. ↑ "Polish Language History and Facts | Today Translations London, UK". Todaytranslations.com. 2014-06-20. Retrieved 2015-03-31. ↑ Kamusella, Tomasz (2008). The Politics of Language and Nationalism in Modern Central Europe. Basingstoke and New York, NY: Palgrave Macmillan. p. 138. ISBN 978-0-230-55070-4. ↑ "Table 8. Detailed List of Languages Spoken at Home for the Population 5 Years and Over : By State" (PDF). Census.gov. Retrieved 2015-03-31. ↑ "Archived copy". Archived from the original on October 16, 2013. Retrieved September 21, 2008. ↑ Roland Sussex and Paul Cubberley (2006). The Slavic Languages. Cambridge University Press. P. 530. ↑ Robert A. Rothstein (1994). "Polish". The Slavonic Languages, edited by Bernard Comrie and Greville G. Corbett. Routledge. Pp. 754–756. ↑ "ISO documentation of Silesian language". SIL International. Archived from the original on October 3, 2012. Retrieved 2015-03-31. ↑ (English) "List of languages with ISO codes". Ethnologue. SIL International. Retrieved 2015-03-31. ↑ Archived June 2, 2013, at the Wayback Machine. ↑ "Internetowy System Aktów Prawnych". Isap.sejm.gov.pl. Retrieved 2015-03-31. ↑ Magosic, Paul Robert (2005). "The Rusyn Question". Retrieved 2008-01-30. ↑ "kielbasa. The American Heritage Dictionary of the English Language: Fourth Edition. 2000". Bartleby.com. Retrieved 2009-05-06. ↑ "Online Etymology Dictionary". Etymonline.com. Retrieved 2015-03-31. Bisko, Wacław (1966). Mówimy po polsku. A beginner's course of Polish (DTBook). translated and adapted by Stanisław Kryński. Warsaw: Wiedza Powszechna (pl). Sadowska, Iwona (2012). Polish: A Comprehensive Grammar. Oxford; New York: Routledge. ISBN 978-0-415-47541-9. Swan, Oscar E. (2002). A Grammar of Contemporary Polish. Bloomington, IN: Slavica. ISBN 0-89357-296-9. Wikivoyage has a phrasebook for Polish.